Our small alp lays at around 40 minutes walking from our farm. There we manage also the ancient Schafstallhütte, where the Angelika Rabanser works in summer from the end of May till middle October. 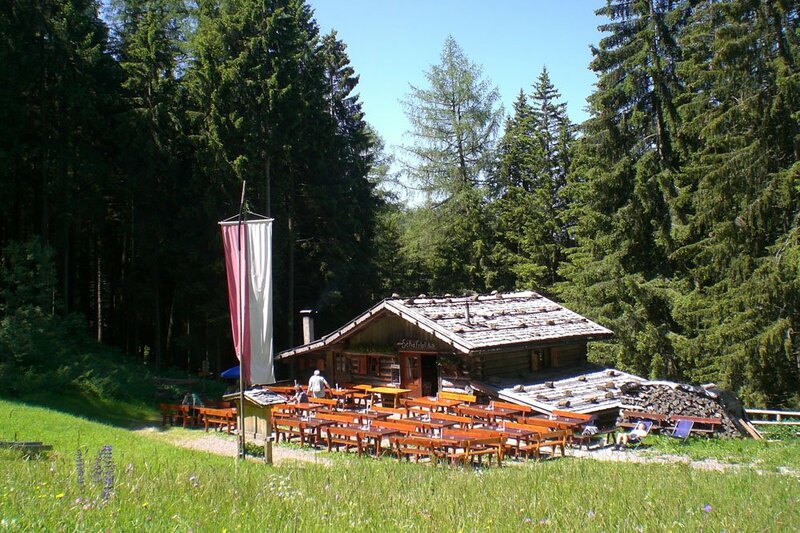 Excursionists who arrive here will enjoy the typical South Tyrolean cooking with Speckknödel, freid eggs with speck, roasted potatoes, speck shelf with local bread and home-made desserts. Some people come here just only to enjoy our Kaiserschmarrn en plein air. The Schafstallhütte can be reached taking trail n.8. After going up through the woods over the witches chairs you reach the Schafstallhütte in 40 minutes. By Marinzen cable car it is of course more comfortable. From the mountain station of the cable car you need to follow trail n. 9 and you reach the Schafstallhütte in 15 minutes. 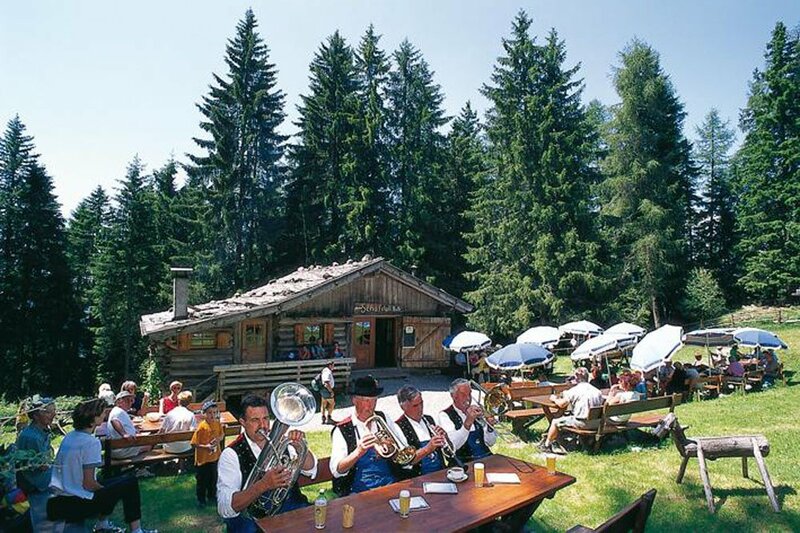 For excursionists the Schafstallhütte is the ideal break while ascending the Puflatsch up to 2176 metres, which takes 2-3 hours from Castelrotto. Other interesting destinations are the Marinzenalm, the mushroom trail “Pilzeweg”, the witches chairs of Tiosels and the belvedere Laranzer Wald. 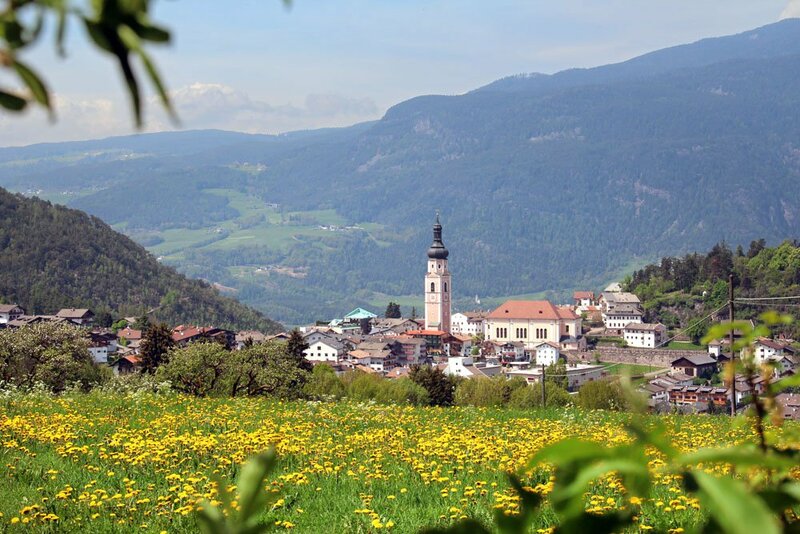 To those who are interested in the geological creation of the Gardena Valley, we suggest the geo-trail Bulla, which leads from Panider Sattel to Bulla and is equipped with 8 wall charts that explain the geological history of the Dolomites.